Marchionne has said he will apply the Ferrari brand more broadly to luxury goods now that the marque is independent. 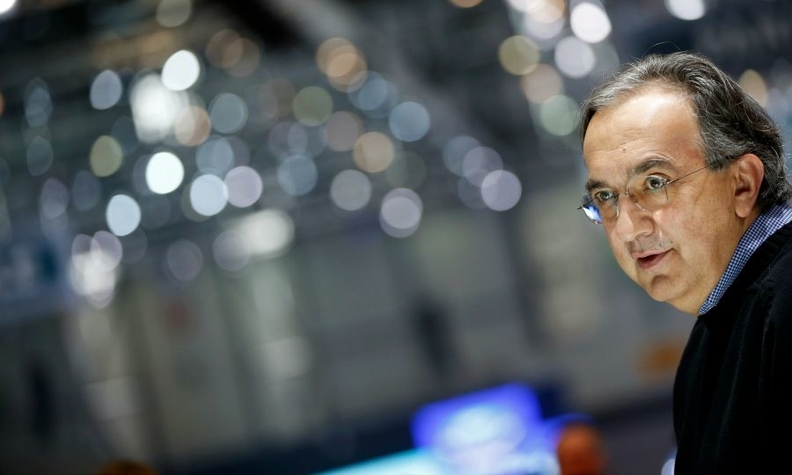 MILAN -- MILAN -- Ferrari appointed Chairman Sergio Marchionne to replace Amedeo Felisa as CEO, adding yet another title for the Italian-Canadian manager, who also runs Fiat Chrysler. The appointment takes place "with immediate effect," Ferrari said in a statement on Monday. Felisa's departure was expected for months after sources told Reuters last August that the 69-year-old executive was getting ready to retire. Felisa joined Ferrari in 1990 and became its CEO in 2008. Marchionne, 63, will assume the CEO responsibilities at the Italian luxury group while retaining his current role as chairman. Felisa will continue to serve on the board of directors as technical advisor to the company. Marchionne is also CEO of Fiat Chrysler Automobiles. With the addition of the Ferrari CEO job, Marchionne will take full responsibility for expanding the luxury sports-car maker following its January spinoff from Fiat Chrysler, which he orchestrated. Marchionne announced Ferrari's separation from London-based Fiat Chrysler a few weeks after he took over as chairman in 2014. He replaced Luca Cordero di Montezemolo, who stepped down after more than two decades following clashes on strategy. Felisa, who ran product development at Fiat Chrysler's Alfa Romeo division before joining Ferrari, was one of Montezemolo's closest aides for more than 20 years. Marchionne has said he will apply the Ferrari brand more broadly to luxury goods other than autos in a bid to boost profit now that the marque is independent. Ferrari’s expansion into non-automotive products was a cornerstone of Marchionne’s sales pitch to investors as the supercar producer was spun off from Fiat Chrysler. To help evaluate options, Ferrari’s new board includes Delphine Arnault, executive vice president at LVMH Moet Hennessy Louis Vuitton SE; Adam Keswick, deputy managing director of Jardine Matheson Holdings Ltd., the parent of Mandarin Oriental Hotel Group; and Lapo Elkann, a member of the Agnelli family who helped to create Ferrari’s "tailor made" customization unit in 2011. Marchionne's appointment as Ferrari CEO adds to the large number of executive or board posts he has. Alongside his roles at Fiat Chrysler and Ferrari, Marchionne is vice chairman of Exor, the investment vehicle of Italy’s Agnelli family that controls the carmakers; chairman of truck and tractor manufacturer CNH Industrial and product-testing company SGS; and an independent director at cigarette producer Philip Morris International.